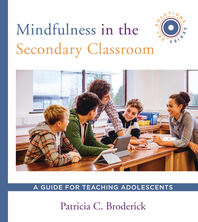 Mindfulness in the Secondary Classroom - Description | W. W. Norton & Company Ltd. Dealing with the emotional needs that students present every day is a complex task—perhaps particularly so for teachers of adolescents. This book describes the tools of mindful attention and shows how the practice of mindfulness can have a positive impact on teaching and learning in middle- and high-school classrooms.